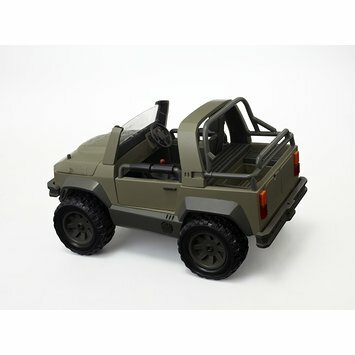 Prototyped Landrover/Jeep made of moulded fibreglass and wood with large black rubber tyres. It resembles a four wheel drive off-road vehicle with a roll bar. plastic. Both should be stuck in place. This was part of a prototype range of vehicles designed by external design company, Raffo and Pape. 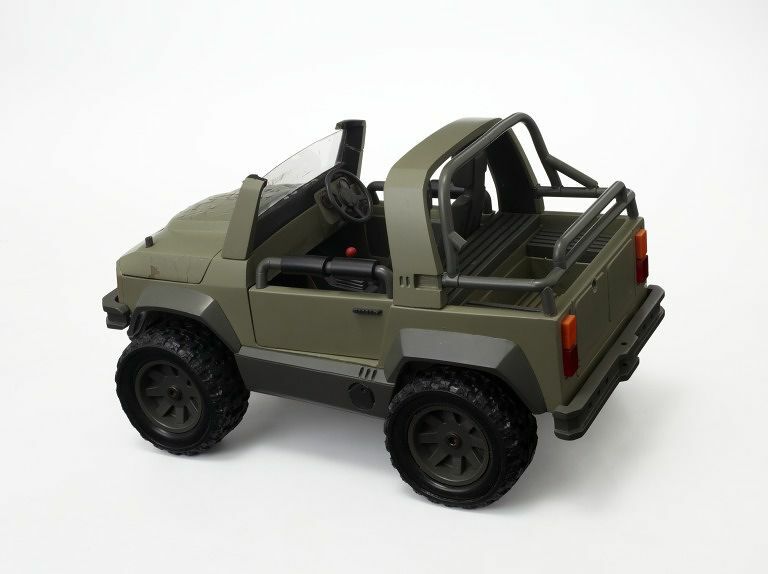 The design of this vehicle was commisioned by Palitoy for the new 1984 Action Man Wolf Pack range. This and all other designs (both those produced by Raffo and Pape and those adapted and designed in-house by the Palitoy design team) were never made. Prototypes were made and displayed at 1984 toy fair soon before the design department was shut down.